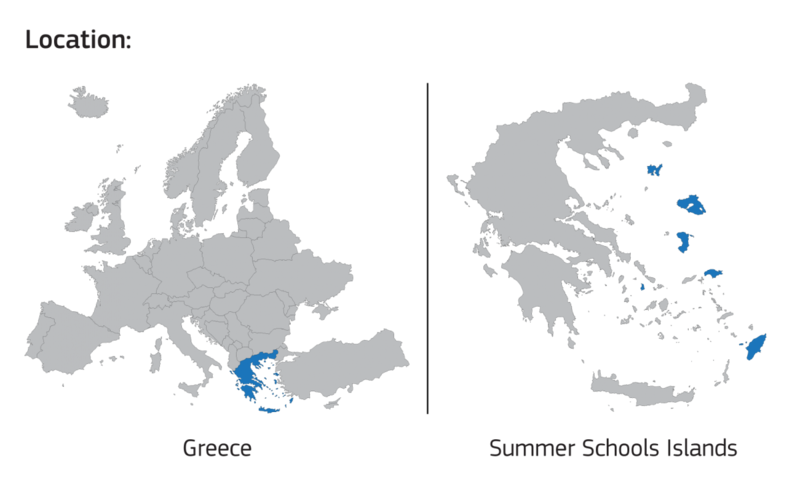 The “University of the Aegean Summer Schools” are supported by the project «The University of the Aegean, the prominent and driving factor for the economic and social growth of the wide Aegean area» of the Operational Program “Education and Lifelong Learning”, which is co-funded by European Union (European Social Fund) and National Resources. Extension of Application Deadline until 15 June 2016! For the fifth year the Department of Social Anthropology and History of the University of the Aegean and the Institute of Migration and Ethnic Studies of the University of Amsterdam welcome applications for the Postgraduate International Summer School ‘CULTURES, MIGRATIONS, BORDERS’ that will take place on the border island of LESVOS, GREECE, from 4 to 15 JULY 2016. The North Eastern Aegean island of LESVOS provides an ideal location for holding this Summer School, as it is currently the most important gate of immigrants and refugees to Greece and Europe and the site of a massive humanitarian intervention. The Summer School takes place at the height of the 'European Refugee Crisis' and in times of radical transformations and the reconfiguration of borders in national and international levels. The program aims to address political, ethical and theoretical questions in this challenging landscape. Along with the seminars, the program includes two fieldtrips; one to Mytilene and the other to Ayvalik. Participants will be given the opportunity to experience the reality of border crossing from Greece (Mytilene) to Turkey (Ayvalik), interact with citizens on the island assisting refugees and meet asylum seekers. While acquainting themselves with the reality of migration on an Aegean island, participants will develop research skills and learn how to place their findings within wider local and global processes. Doctoral students and researchers will also have the opportunity to present their work at the PhD/Reseach Seminars. The Summer School includes also the public screening of films on migration and border-crossing. The Deadline for Scholarship Applications has expired!